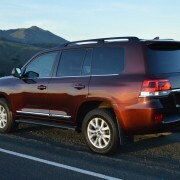 Understated elegance is the byword to describe Toyota’s most expensive product, the $84,820 Land Cruiser. 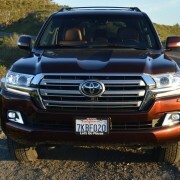 Although a mild 2016 restyle of the Cruiser’s front end and double bubbled hood imbue it with a newfound chrome snarl, you won’t be buying this legendary SUV for its ingratiating appearance. 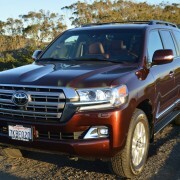 Compare the Land Cruiser to such like-priced competitors as Porsche’s Cayenne, BMW’s X5, GMC’s Denali and Cadillac’s Escalade, and the sedate looks of the Cruiser lose traction to these much more stylish vehicles. 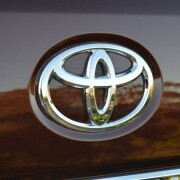 Where the Toyota gains traction over all of them, however, is when the going gets rough in real world driving. 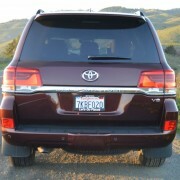 In off-road circumstances, there isn’t another SUV capable of outrunning this Toyota. The list of its attributes for such usage is seemingly endless. 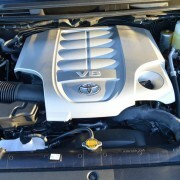 Unlike so many cross country pretenders, the Land Cruiser has a Torsen locking center differential, an increasing rarity in this market segment today. 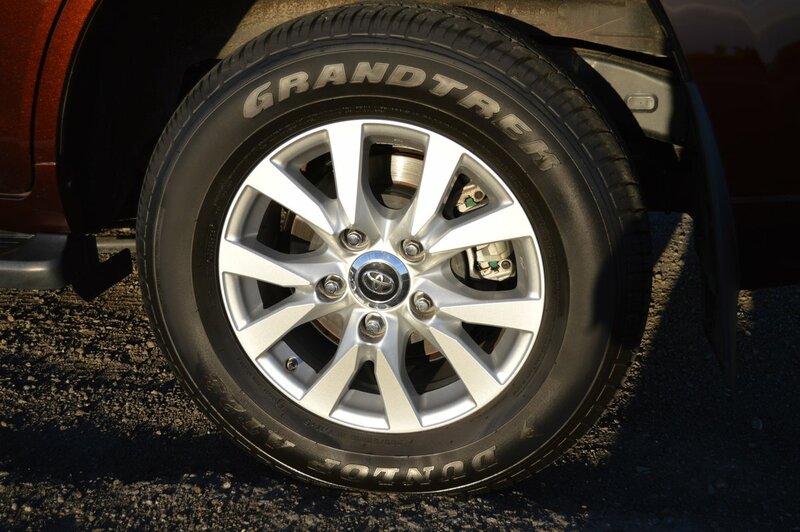 That differential feeds power as needed to all four wheels at all times, and can be locked for maximum traction in adverse conditions. Fat control knobs on the center console permit easy selection of power application for all varieties of terrain. 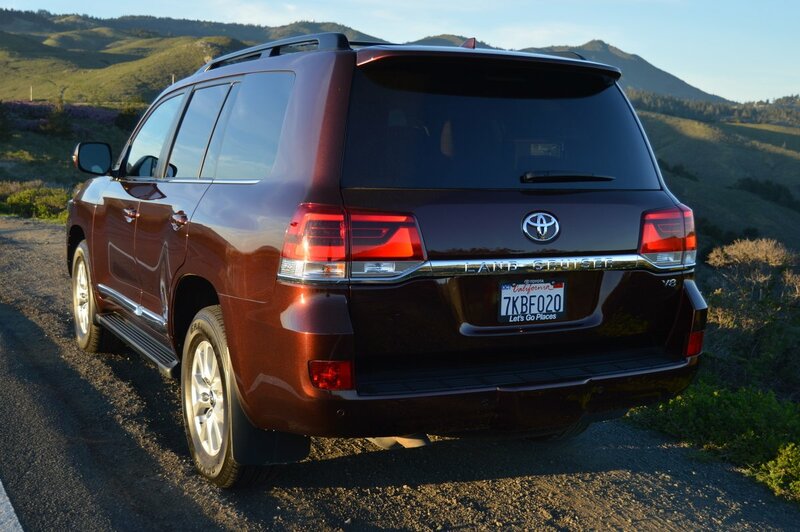 A “Crawl” choice is available for traversing rugged outback trails, and “Hill-Start Assist” insures momentum resumption over mountainous terrain. 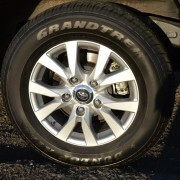 Sizeable (285/60R18) Dunlop Grandtrek AT 23 tires cope well with both pavement and dirt. Toyota’s “Kinetic Dynamic Suspension System” keeps the passenger platform stable while allowing the big Dunlops to surmount any obstacles. There’s even a new “Turn-Assist” feature to ease acute off-road directional changes. But all this sophisticated technology remains hidden to the casual observer. Inside the Cruiser’s elevated flying bridge of a cabin, you are treated to every luxury amenity imaginable. 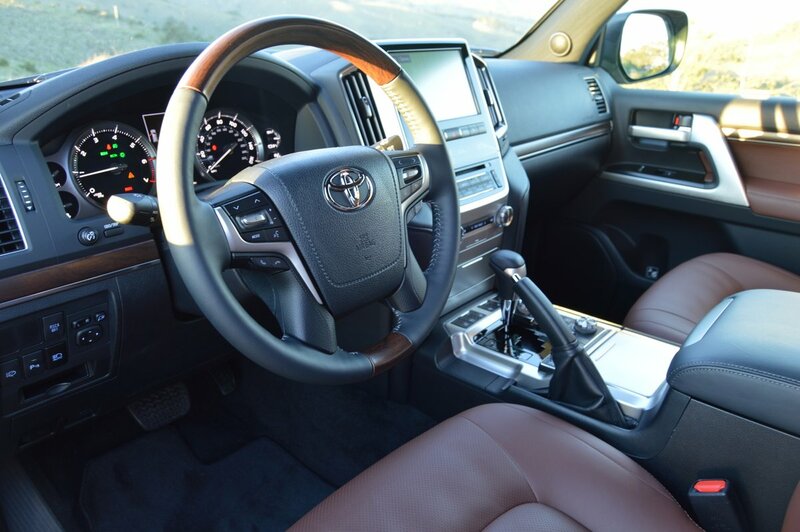 This year, Toyota has swathed the interior seating surfaces in an ultra-soft material called “Terra Semi-Aniline Perforated Leather.” This exquisite tanning imparts a handsome matte look to the leather, and a glove softness that will take the sting out of the Cruiser’s astronomical purchase price. 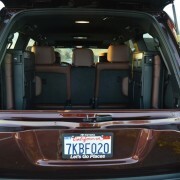 The interior is configured to seat 8 adults in remarkable comfort. The third row of seats fold sideways against the rear fender wells when not in use, leaving a huge 43 cubic foot expanse of storage space for cargo as bulky as two bicycles. 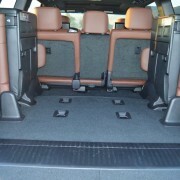 The second row seats offer heating, and full AC/Heat controls located in the back of the front row center console. 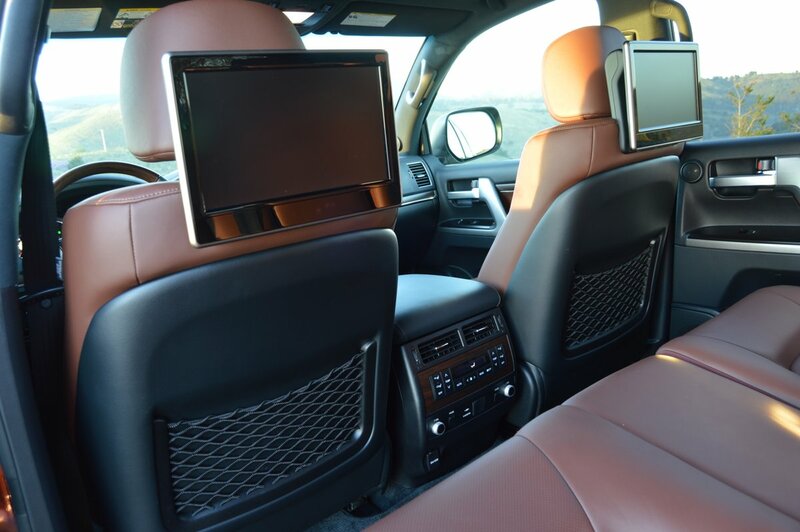 New for 2016 is a pair of standard 11 inch viewing screens located behind the front seat headrests. After some experimentation, these proved a mixed blessing. 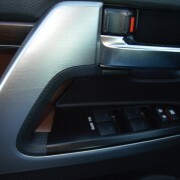 There is no DVD slot in the rear console, so you must insert viewing matter up front in the dash slot. The remote control stashed in the back seat arm rest worked sporadically, and the sound level for the rear seat cordless headphones proved too low for me to hear. Sort these minor issues out, however, and you have a theater on wheels for a family of 8. 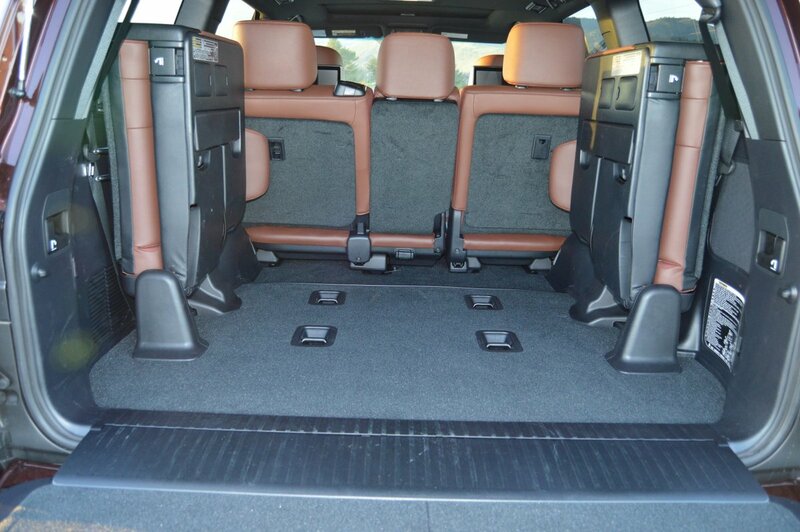 The interior of the Cruiser is spacious, airy and even equipped with a sizeable sunroof to shed outdoor light on those sumptuous seating surfaces. 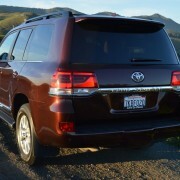 New for 2016 are a bevy of safety assistances that have been offered for years on other Toyotas, but not the Land Cruiser. 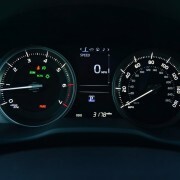 Standard issue now are Pre-Collision Braking with Pedestrian Detection, Lane Departure Alert, Automatic High Beam activation, Rear Cross Traffic Alert, and Dynamic Radar Cruise Control. Most of these systems work flawlessly to ease your job as driver of this large and rather unwieldy vehicle. 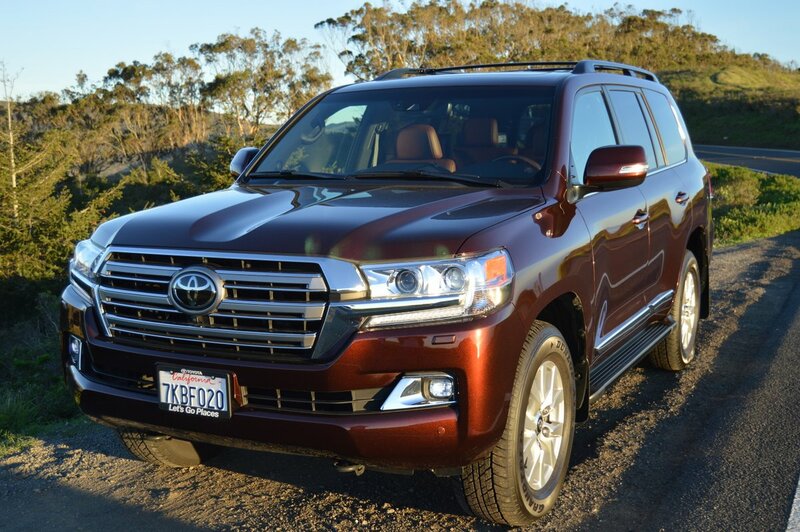 Despite offering 381hp and 401lb.-ft. of torque, the Land Cruiser never lets you forget it weighs nearly three tons (curb weight: 5,800 pounds). But to its utility credit, it will tow a trailer weighing 8,500 pounds. A new 8 speed automatic transmission can be manually manipulated by slotting the console stick into the gate reserved for specific ratio selection. Unfortunately, Toyota does not provide shift paddles next to the steering wheel for this function. 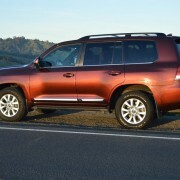 Only 2,700 of these luxurious and complex terrain dominators will make their way into new owners’ hands this year. 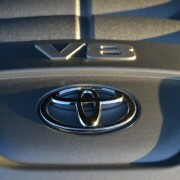 So you won’t see many examples of this flagship of the Toyota fleet. Rest assured that the Land Cruiser offers enough technological wizardry, attention to luxury, and utter practicality to make it the SUV of choice for a very select few.